NOTE: If you are looking for any version above 6.2.0.50, you need to know any version higher than 6.2.0.50 are hotfixes to the base 6.2.0.50 version. So, you need to download the 6.2.0.50 below, then update it to a newer version. If you have a: "GEMALTO TOP DL GX4 144," "GEMALTO DLGX4-A 144," "Oberthur ID One 128 v5.5 Dual," "Oberthur ID One 128 v5.5a D," or "G&D FIPS 201 SCE 3.2") CAC and are using Windows 7, 8, 8.1, or 10, you might be able to use your CAC without the need of installing ActivClient. If you only need the ability to logon to CAC enabled sites, consider using Trusted End Node Security (TENS) formerly known as LPS (Lightweight Portable Security). The ability to complete and digitally sign forms does not exist via this method. Windows 8 & 8.1 users click here for information on how to use your CAC on your computer. The instructions directly below for ActivClient 6.2.0.50 will not work for you. 1a. If your computer is an HP, please look here for a setting you must perform before going to step 2. OR your ActivID does a roll back just before finishing the install. 4. Select Custom, Next, scroll down and select the red X next to US Department of Defense configuration, select This feature will be installed on local hard drive, select Next, then Install, (it may pause at this screen for a little while). You may be prompted to allow the following program to install software on this computer, Select Yes. 4a. Non DoD computers ONLY: Select the + next to Digital Certificate Services, select the down arrow next to Microsoft Outlook Usability Enhancements, make sure it is a red X. If it is not a red X, change it to a red X. If you don't make this change, you may end up with an error message stating: ActivID - 32 bits COM server asking you for your email address and password every time you use your CAC. Click on the link titled: ActivID ActivClient x64 7.1 (37.27 MB .msi file) select Save As (save it to your computer), then follow instructions above. Click on the link titled: ActivID ActivClient x86 7.1 (21.89 MB .msi file) select Save As (save it to your computer), then follow instructions above. Some Windows 10 users are experiencing an issue where it won't complete the install and rolls back. If your computer is an HP, please look here for a setting you must perform OR if your ActivID does a roll back just before finishing install. Other ideas that have worked for some. The concept is to try each one individually until one works. It is NOT a do all of them, then try. by checking the Service Status and running "sc query msdtc" from an administrative command prompt. If you need to Enable the startup, or needed to start it - try to run the ActivID installer again once it is up. - If it is not COM or DTC - have you recently imaged this computer? Is this key value set to "1"? If so - set it to "0" and try the install again. ActivID 7.1.0.x relies on Windows services that are launched when a smart card is detected. Sometimes those services fail to start. 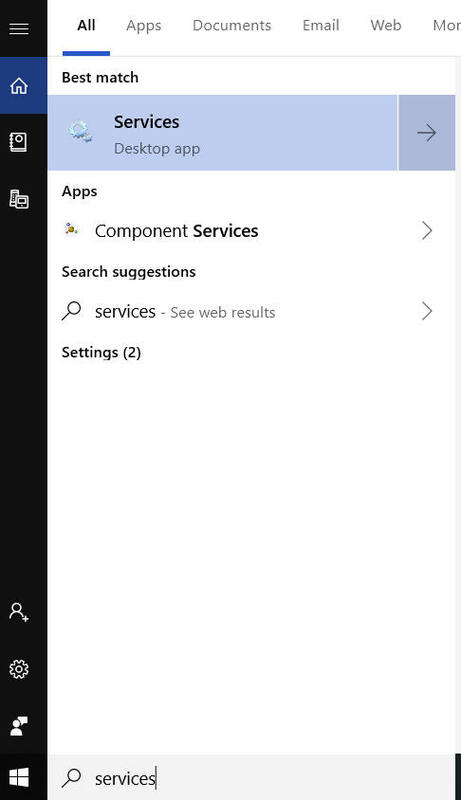 In most cases a restart of your computer with your CAC inserted in the reader will fix the issue. Click on link titled: ActivClient CAC x64 62050 (12,316.5 KB .msi file) select Save (save to your computer), then follow installation instructions below. Click on the link titled: ActivClient CAC x86 62050 (15,222.5 KB .msi file) select Save (save it to your computer), then follow installation instructions below. Right click Computer, select Properties. Look under the System section, System type: it will display either 32 or 64-bit Operating System. 3. Verify Typical is selected, select Next, Install, (It may pause at this screen for a little while, be patient. Windows 7 & Vista may prompt you to allow the following program to install software on this computer?, Select Yes. 4. Uncheck the Show the readme file box (after you read it). Select Finish. 5. Update ActivClient 6.2.0.x to the latest version, restart your computer, and attempt to access the CAC enabled sites you need to access. Click on the link titled: ActivClient x64 7.0.2 (34.55 MB .msi file) select Save As (save it to your computer), then follow instructions below. Click on the link titled: ActivClient x86 7.0.2 (22.02 MB .msi file) select Save As (save it to your computer), then follow instructions directly below. 3. Select Custom, Next, scroll down and select the red X next to US Department of Defense configuration, select This feature will be installed on local hard drive, select Next, then Install, (it may pause at this screen for a little while). You may be prompted to allow the following program to install software on this computer, Select Yes. 5. Update ActivClient 7.0.2.x to the latest version, restart your computer, now attempt to access the CAC enabled sites you need to access. YOU ARE FINISHED (IF YOU ONLY WANT TO BE ABLE TO LOGON TO AKO, check your webmail (or other CAC enabled websites with your CAC)).